On Friday, September 7, 2018, the Department of Homeland Security (DHS) published in the Federal Register a notice of proposed rulemaking (NPRM) on "Apprehension, Processing, Care, and Custody of Alien Minors and Unaccompanied Alien Children" [UACs]. The rule would adopt regulatory provisions paralleling "the relevant and substantive terms of the" settlement agreement in Flores v. Reno with certain modifications "to reflect intervening statutory and operational changes while still providing similar substantive protections and standards." [W]ould create an alternative to the existing licensed program requirement for family residential centers [(FRCs)], so that [U.S. Immigration and Customs Enforcement (ICE)] may use appropriate facilities to detain family units together during their immigration proceedings, consistent with applicable law. The NPRM notes that the Flores settlement agreement provides that it will terminate within 45 days of the publication of final regulations that implement that agreement. That agreement originally addressed the custody policies of the former U.S. Immigration and Naturalization Service (INS), which was abolished on March 1, 2003, as the U.S. Citizenship and Immigration Services (USCIS) website notes. Responsibility for custody of removable aliens is now generally vested in ICE, with some important exceptions as relates to alien minors. A UAC from a contiguous country can be returned if the alien has not been trafficked and does not have a credible fear. Under the TVPRA, however, [UACs from noncontiguous countries] are to be transferred to the care and custody of HHS within 72 hours and placed in formal removal proceedings, even if they have not been "trafficked". Most significantly, however (as referenced above) in a July 6, 2016, opinion, the Court of Appeals for the Ninth Circuit held that the Flores settlement agreement "unambiguously applies both to minors who are accompanied and unaccompanied by their parents." This has complicated the Trump administration's efforts to end "catch and release" of alien parents entering illegally with their children along the Southwest border, as I explained in a June 2018 post. [A]ny program, agency or organization that is licensed by an appropriate State agency to provide residential, group, or foster care services for dependent children, including a program operating group homes, foster homes, or facilities for special needs minors. That prompted significant and ongoing litigation regarding the ability to obtain state licensing of FRCs, [holding family units], as many States did not have, and have not succeeded in putting in place, licensing schemes governing facilities that hold family units together. That litigation severely limited the ability to maintain detention of families together. As long as the licensing must come from a state specifically (rather than from the federal government), DHS's ability to effectively use family detention is limited. A federal program (especially immigration enforcement) that the Constitution and Congress commit to federal discretion should not depend on state licensing, particularly when a well-established state licensing scheme does not already exist. In order to avoid separating family units, DHS needs to release adult family members in cases where detention would otherwise be mandatory and DHS determines parole is not appropriate, or in cases where DHS and/or immigration courts believe detention of the parent is needed to ensure appearance at future removal proceedings or to prevent danger to the community. Because of ongoing litigation concerning state licensure for FRCs, ICE rarely is able to hold family units for longer than approximately 20 days. The result is that many families are released in the interior of the United States. The NPRM notes that "a significant number of aliens" who are not detained fail to appear for removal proceedings or don't seek asylum, "thus remaining illegally in the United States." To address these issues, the proposed rule allows families to be detained together in federally licensed programs, instead of just facilities licensed by a specific state. Logically, there are few state licensing schemes for FRCs, because states don't have criminal detention facilities for families, only individuals. Moreover, under paragraph six of the Flores settlement agreement, a "licensed program" must generally be "non-secure", with exceptions for certain "special needs minors". Under those exceptions, "a facility for special needs minors may maintain that level of security permitted under state law which is necessary for the protection of a minor or others in appropriate circumstances, e.g., cases in which a minor has drug or alcohol problems or is mentally ill." That said, the Flores settlement agreement does not define the term "non-secure". [A] facility that meets the definition of nonsecure in the state in which the facility is located. 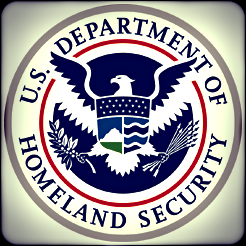 If no such definition of nonsecure exists under state law, a DHS facility shall be deemed non-secure if egress from a portion of the facility's building is not prohibited through internal locks within the building or exterior locks and egress from the facility's premises is not prohibited through secure fencing around the perimeter of the building. The NPRM states that this definition "provides a definition of non-secure to provide clarity on the use of the term in the immigration detention context," recognizing that the definition "may vary by state or locality." In the absence of such state or local definition, "the proposed rule provides that a facility will be deemed non-secure if it meets an alternative definition derived from Pennsylvania's definition of secure care." Pennsylvania was chosen in this instance because there are three FRCs operating in that state, including in Berks County, "the longest operating of the FRCs". DHS proposes these changes to allow the Department to fully and consistently apply the law to all aliens who are subject to detention, so that aliens do not have the opportunity to abscond from DHS custody simply because they were encountered with children. Written comments on the proposed rules must be submitted on or before November 6, 2018. Nonetheless, as the New York Times reported on September 6, 2018, immigration advocates are already preparing to challenge those rules.